AUSTIN, Texas, Sept. 19, 2018 /PRNewswire/ — DiFusion Inc, a developer of advanced medical polymers utilizing novel zeolite technology, announced today that the ZFUZE® PEEK Composite has been recognized by Orthopedics This Week as one of the Top Ten Best Spine Technologies for 2018. ZFUZE features DiFusion’s patented microporous, hydrophilic PEEK (polyetheretherketone) technology, a microporous negatively charged surface that decreases fibrotic encapsulation of the implant while simultaneously increasing osseointegration. Orthopedics This Week annually recognizes the engineering teams and inventors who develop and successfully translate innovative products into clinical use to treat spinal disorders. The winning technologies this year were selected based on creativity, innovation, the capacity to solve a critical clinical problem as well as their potential long-term impact on improving spine surgery. ZFUZE was considered a viable recipient of this year’s Spine Technology Award due to the extensive animal research presented on ZFUZE Composite PEEK. The new biomaterial’s immunochemistry showed a statistically significant drop of Interleukin 1-Beta (IL1-B) Cytokines (well-known markers for fibrosis) and increased in vivo bone response, which will be presented the North American Spine Society meeting on September 27th in Los Angeles. The studies were performed by researchers at the Neuroscience Institute at the Allegheny Medical Center. Results of the studies show that ZFUZE microporous PEEK composite elicits an elevated in vivo osteogenic response while simultaneously reducing the fibrotic immune response when compared with inert hydrophobic PEEK. “This is the first biomaterial we have independently tested that was engineered for a decreased immune system response. This novel approach to rethinking the material response resulted in less fibrosis and a greater degree of osseointegration we have not seen in other new biomaterials to date,” Boyle Cheng, PhD., Director Neuroscience Institute at the Allegheny Medical Center. DiFusion, Inc. is a privately held advanced biomaterials manufacturer located in Austin Texas. DiFusion has developed multiple internationally patented MITA Technologies (Metallic Ion Therapeutic Agents) for bone growth, tissue regeneration, antimicrobial, cellular repair, scaffold construction and increased angiogenesis. Our first product ZFUZE™* was developed as a load-bearing osteoconductive biomaterial platform for orthopedic applications, proven highly successful in 2 large animal studies. ZFUZE™ is currently being scaled up for commercial launch in early 2019. ZFUZE biomaterial will be submitted to FDA in early October 2018. 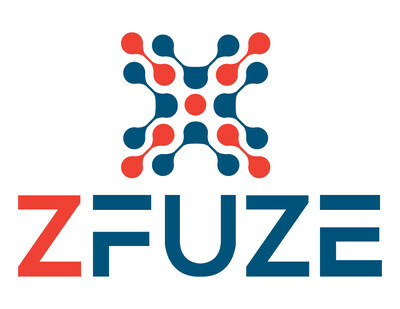 ZFUZE and MATERIALS MATTER are registered trademarks of DiFusion Inc.